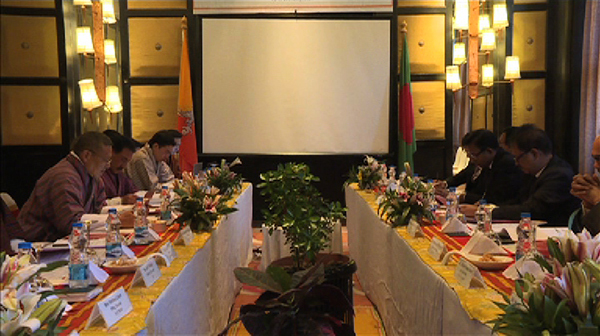 To exchange ideas and explore new areas of cooperation to promote trade and commerce between the two countries, the 7th Bhutan-Bangladesh commerce secretary-level meeting began in Thimphu today. The two-day meeting is expected to review the implementation of the decisions taken during the last commerce secretary-level meeting. Some of them are Bhutan’s request to grant duty-free access to 16 additional products, cooperation between trade associations of both countries, enhancing cooperation in the tourism sector and Bilateral Preferential Trade Agreement. The meeting will also discuss issues of mutual interest to both countries such as trade, transit, investment and tourism. In 2017, a total trade value between Bhutan and Bangladesh increased to over Nu 3.8bn from over Nu 2.6bn in 2016. Bangladesh is the second largest trading partner and also as the second largest export market for Bhutan. The trade between the two countries has grown steadily over the years since the bilateral trade agreement was signed in 1980.